WASHINGTON ― Essay optional. No penalties for wrong answers. The SAT college entrance exam is undergoing sweeping revisions. Changes in the annual test that millions of students take also will do away with some vocabulary words such as “prevaricator” and “sagacious” in favor of words more commonly used in school and on the job. College Board officials said Wednesday the update ― the first since 2005 ― is needed to make the exam better representative of what students study in high school and the skills they need to succeed in college and afterward. 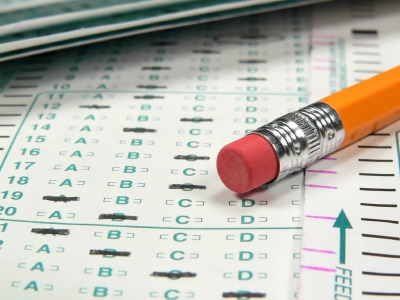 The test should offer “worthy challenges, not artificial obstacles,” said College Board President David Coleman in remarks prepared for delivery at an event in Austin, Texas. The new exam will be rolled out in 2016, so this year’s ninth graders will be the first to take it, in their junior year. The new SAT will continue to test reading, writing and math skills, with an emphasis on analysis. Scoring will be on a 1,600-point scale, with a separate score for the optional essay. 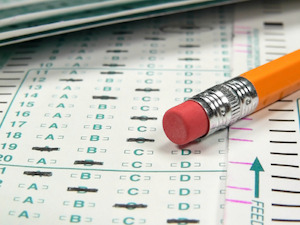 One of the biggest changes is that the extra penalty for wrong answers, which discouraged guessing, will be eliminated. And some vocabulary words will be replaced with words such as “synthesis” and “empirical” that are used more widely in classrooms and in work settings. The essay will be changed in other ways, too. It will measure students’ ability to analyze and explain how an author builds an argument, instead of measuring the coherence of the writing but not the quality or accuracy of the reasoning. It will be up to school districts and colleges the students apply to as to whether the essay will be required. These are the first SAT upgrades since 2005, when the essay portion was added and analogy questions were removed. There have been other notable changes to the test, such as in 1994 when antonym questions were removed and calculators were allowed for the first time. The test was first used in 1926. The SAT was taken last year by 1.6 million students. It has historically been more popular on the coasts, while the other popular standardized college entrance exam, the ACT, dominated the central U.S. But the ACT overtook the SAT in overall use in 2012, in part because it is taken by almost every junior in 13 states as part of the states’ testing regimen. Last year, the ACT said it would begin offering computer-based testing in 2015.